Summer is slowly coming to a close. Before you run out the door to try and preserve your tan, take a look at all of the amazing restaurants around you. Soak up the sun and stuff your face with these amazing eats in your backyard. Voted best new restaurant in 2015 by Eater magazine, Republic Tavern continues its locally-sourced, meteoric rise to culinary excellence. The spacious and inviting restaurant shares a kitchen with its neighbor Parks & Rec., a casual yet exquisite brunch restaurant. Republic Tavern partners with local Michigan farmers and Michigan suppliers to create an ever changing menu of food and drinks that will please even the pickiest of eaters. Just a quick three- minute walk from Briggs Houze, this incomparable eatery should be on your bucket list of downtown Detroit eateries. We don’t need to give an intro for Calexico. This Detroit staple has been serving unbeatable Calexico-inspired cuisine since it opened last year and isn’t slowing down anytime soon. Don’t be fooled by the size of the building, the sprawling interior of the restaurant is full almost every night of the week. 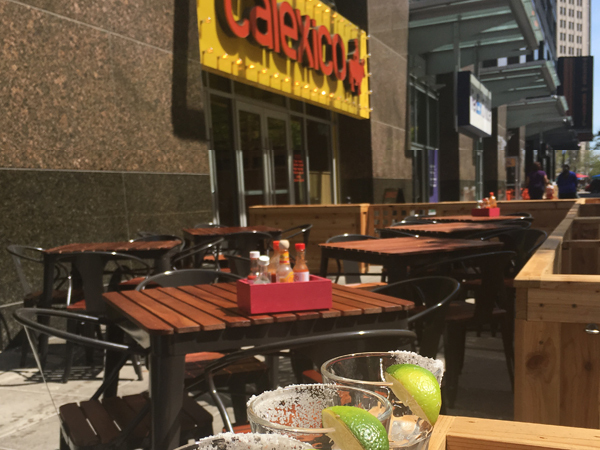 Detroiters flock to Calexico to fulfill their #TacoTuesday cravings, unbeatable cocktail specials, and authentic Calexico cuisine. Briggs Houze tenants can enjoy the short nine-minute walk to Calexico and enjoy a night of food and drinks before summer says ‘adiós’. If you want to soak up some history alongside the summer sun, look no further than the historic Cliff Bell's. With a history that spans from the prohibition era to the club’s renovation in 2005, this historic venue has grown alongside the city of Detroit. Cliff Bell’s features an amazing lineup of live music throughout the week that ranges from jazz quartets, guitarists, and talented vocalists. The kitchen offers a wide selection of shareable appetizers, delightful cocktails, and decadent main courses.The restaurant is a quick two-minute walk from Briggs Houze and will provide you with an intimate and magical evening full of music, fine dining, and atmosphere. No matter where you spend the last days of summer in Detroit, take in all the city has to offer. Did we forget your favorite local Detroit eatery? Let us know! Tell us how you will be spending the last weeks of summer. Plan your next adventure and #LiveTheHype with Houze Living.